(Lillenas Publications). 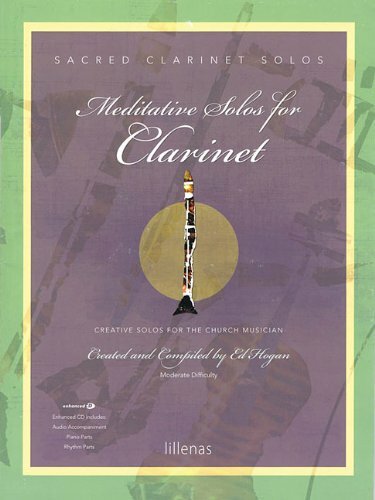 This superbly arranged sacred collection contains some of the most cherished hymns delightfully arranged in creative settings. Carefully edited in a variety of "church-friendly" keys, this product is designed to be accessible to the average church musician while giving instrumentalists a chance to display their expressive and technical abilities. The CD includes printable piano parts as well as accompaniment trax to use during performance or practice. It even contains parts for rhythm section accompaniment ideal for use in services. Ideal for offertories, preludes, and postludes, the uniquely formatted solos also work perfectly for "instant concerts." With nothing more than an instrument, a music stand, and CD player, instrumentalists are ready to give a 30-minute concert. Songs in this exquisite collection include: All Creatures of Our God and King * All That Thrills My Soul * Christmas Medley (Angels We Have Heard on High; What Child Is This? ; Come, Thou Long-expected Jesus) * Cross Medley (Glory to His Name; At Calvary) * Higher Ground * It Is Well with My Soul * O the Deep, Deep Love of Jesus * Resurrection Medley (Alleluia! Alleluia! ; Crown Him with Many Crowns) * The Love of God * Trust Medley ('Tis So Sweet to Trust in Jesus; Trust and Obey; Standing on the Promises; Leaning on the Everlasting Arms; Only Trust Him).